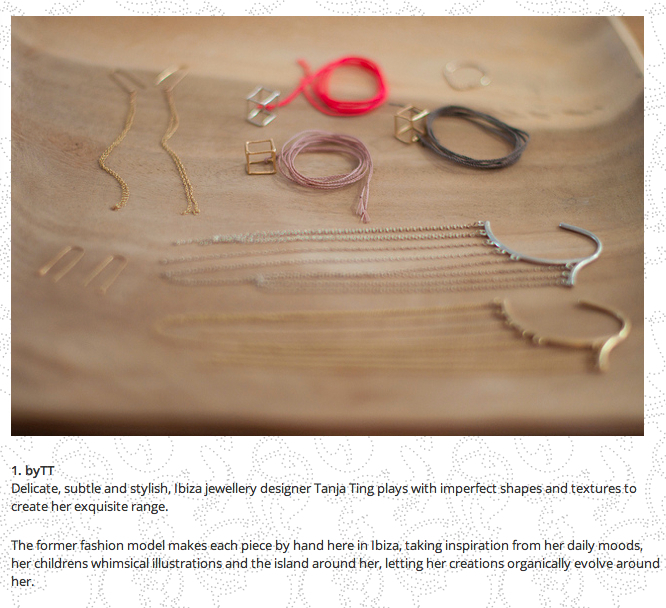 Tanja Ting jewelry/Jeweler is featured as no.1 of new names to know in Ibiza! 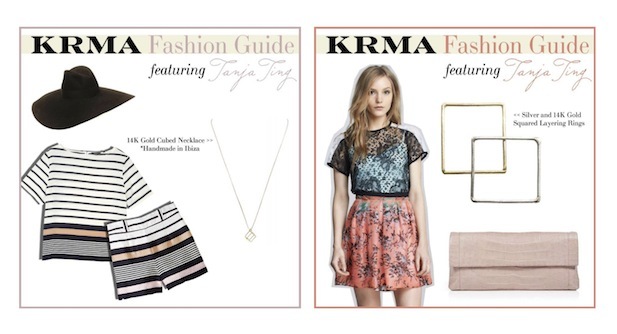 Tanja Ting Jewelry in KRMA. Jewelry by Tanja Ting in White Ibiza. 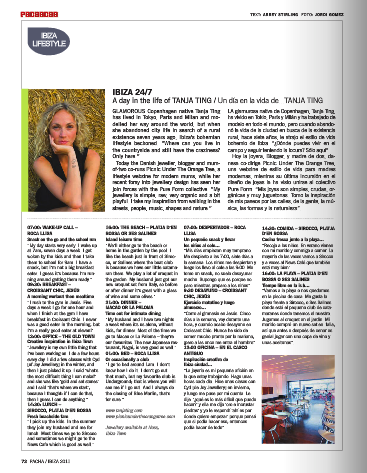 Tanja Ting in Ibiza Inside. Tanja Ting in Picnic Under The Orange Tree.